DVDPlanner has been designed to be an advanced DVD Authoring package. 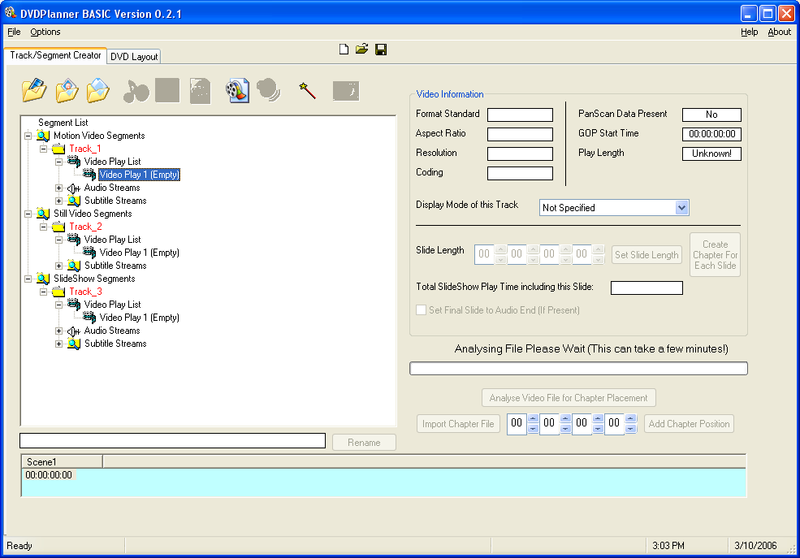 It operates on a simple drag & drop of the tracks onto the PGC or Program created in the database. Fix: Single frame mpv files would go into a forever loop when added to a segment, and an error would occur in the trackviewer. Add: ExtendFinalSubtitle flag is now available. This will force the final subtitle & highlight to the CELL_END.